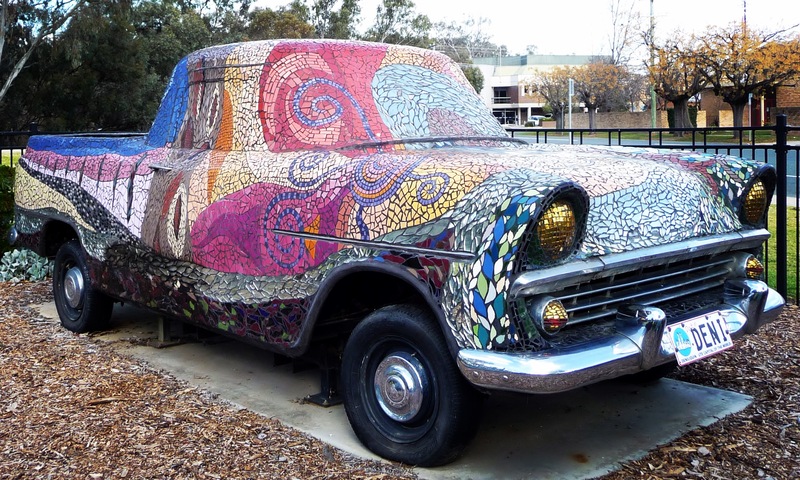 TransmUTE is a mosaic sculpture created out of an old Holden utility. It is located at the Heritage Centre in Deniliquin, a town in Western New South Wales. 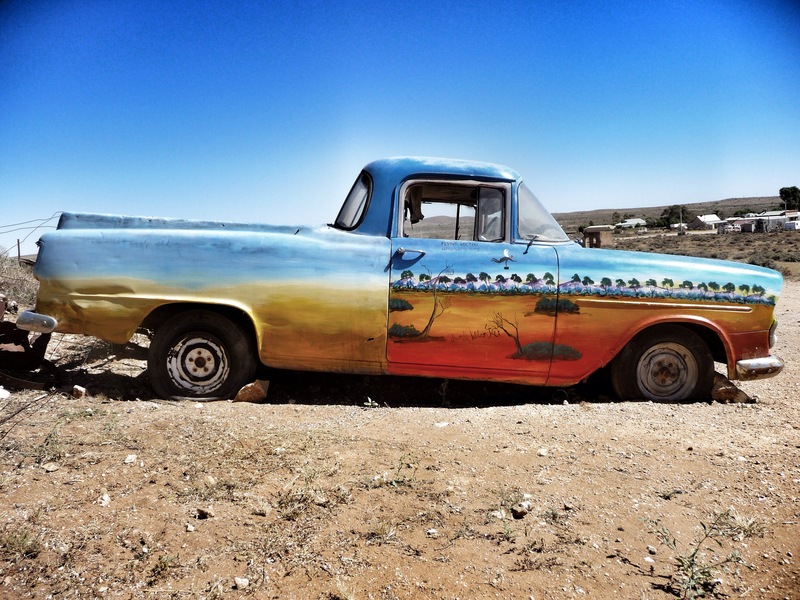 Established where the major stock routes met along the way to New South Wales, Queensland and Victoria, Deni is also home to the world’s biggest ute muster, which pays tribute to Australia’s love affair with the ute as a vehicle for work and play.